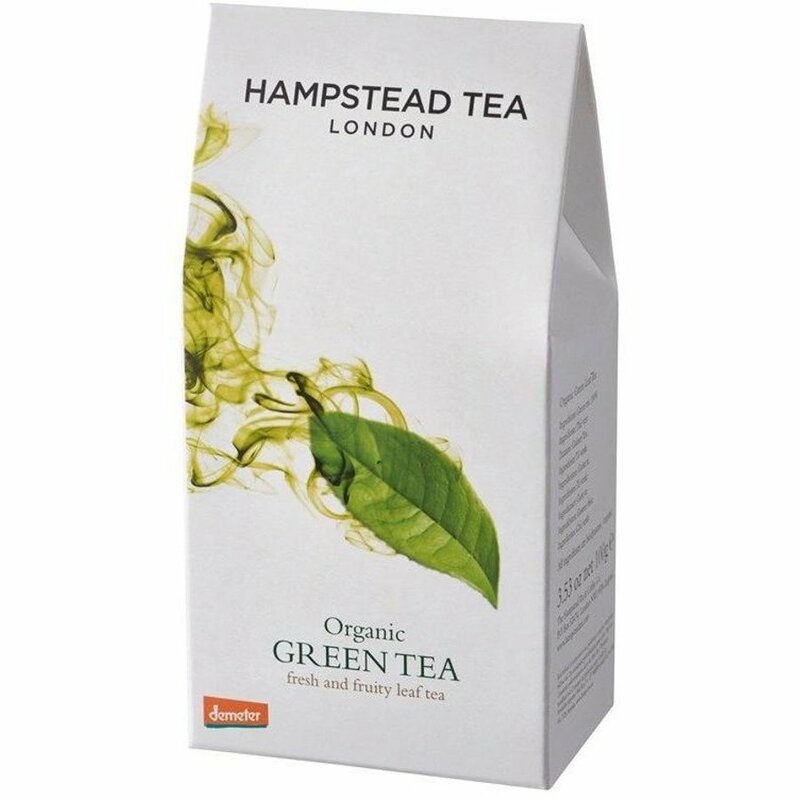 100 grams organic, vegan friendly Hampstead Tea Green Leaf Tea, made using biodynamic ingredients. This product is suitable for a gluten free diet. 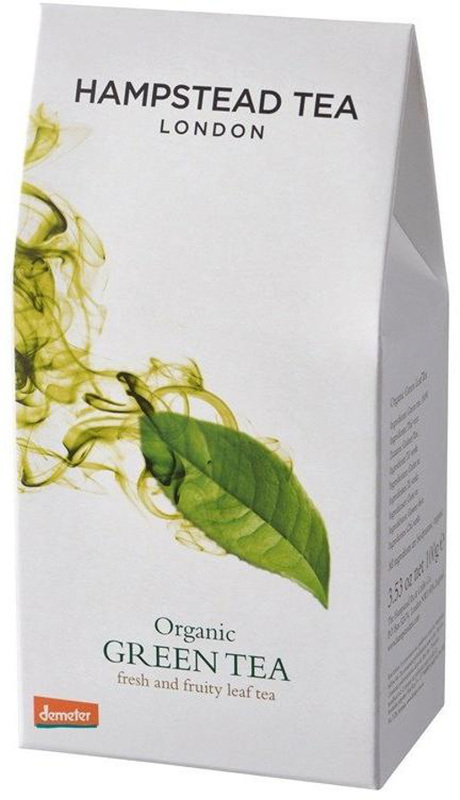 The Hampstead Tea Organic Green Tea - Loose Leaf - 100g product ethics are indicated below. To learn more about these product ethics and to see related products, follow the links below. I love this tea. Its my favourite green tea. Very high quality and reasonably priced. Makes a superb and v.refreshing drink! Q: What packaging does this product use? A: Hi, Thanks for your enquiry. The outer pouch is made of printed board and the inner pouch is made from cellophane. SO it is a 100% recyclable. I hope this helps – let me know if you need any more information. 2 out of 2 found this question and answer helpful. Hampstead Tea started producing biodynamic, Fairtrade certified tea in 1995. Most of its tea comes from the Makaibari estate in India’s Darjeeling province; the world’s first certified biodynamic estate, and all of its teas are certified ‘Demeter’, or ‘Organic Plus’, meaning that they have reached the highest standard for sustainable agriculture. Not only is Hampstead Tea a pioneering tea company but it’s award winning too! It won the Guild of Fine Food Retailers’ Great Taste Award and had two of its teas feature in the World Tea Championships™ 2008 - Hot Tea Class Finalists. So, if you want great tasting, ethically and fairly traded tea and coffee then Hampstead is the company for you!